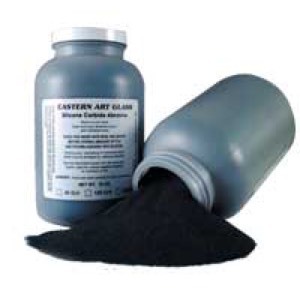 Silicon carbide is the fastest cutting and longest lasting of all the abrasives available. It contains no free silica, and eliminates the static electricity generated by aluminum oxide abrasives. It is unique because as it breaks down, smaller sharper cutting edges are exposed allowing extended life to the particles. Be sure to wear goggles, gloves and face mask while using this product. Available in two grit sizes. The higher the number, the finer the grit.